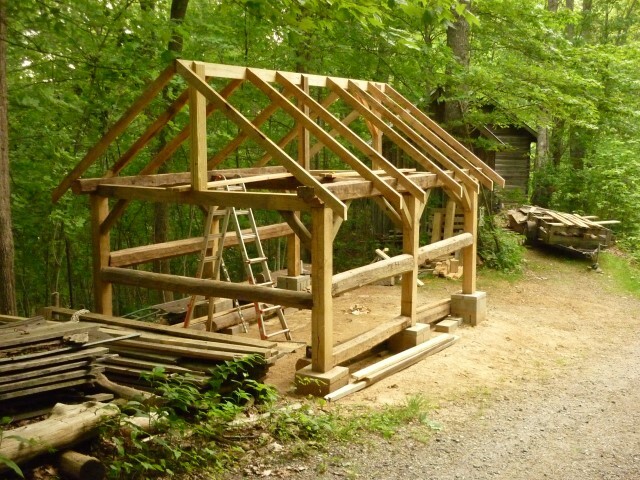 The inside anatomy of the log cabins (with door and loft) and the wood shed, which has joinery that entails no nails (even where the four beams come together), copied from the arts and crafts style at the Gamble House in Pasadena, CA. 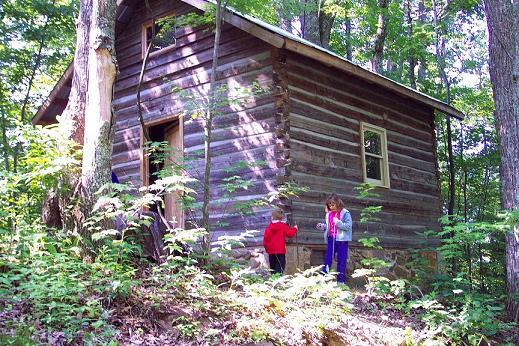 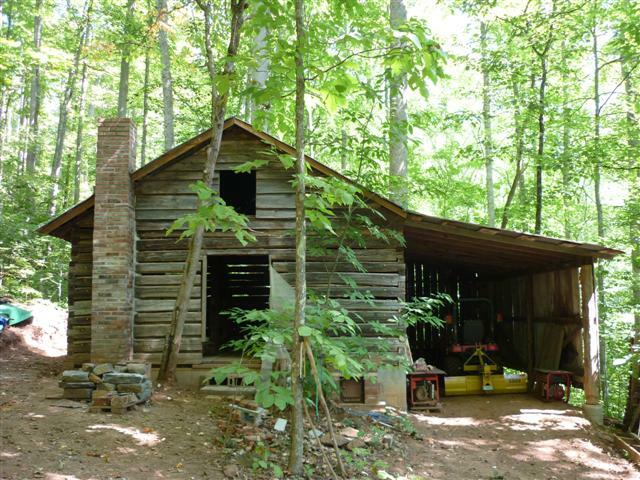 At our mountain home at Chestnut Ridge, we have moved three log buildings from the Garrett farm in Durham--two tobacco barns, converted into a workshop and a camping cabin, and one sweet potato curing barn, which we preserved from destruction since it was the only log one left in the state. 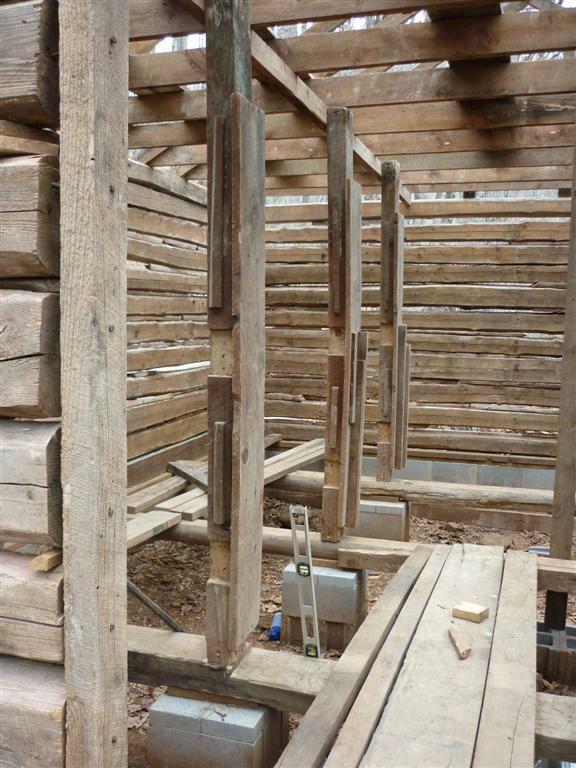 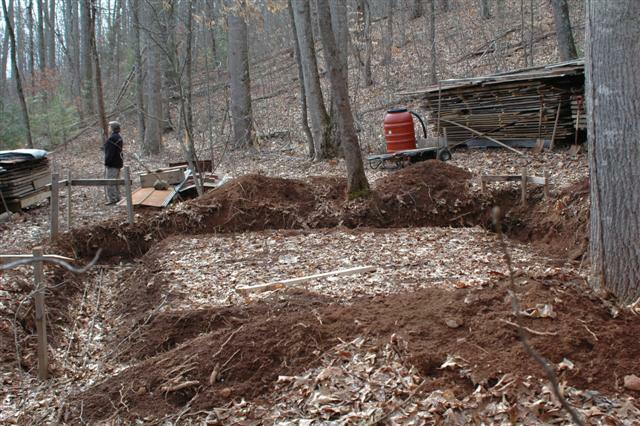 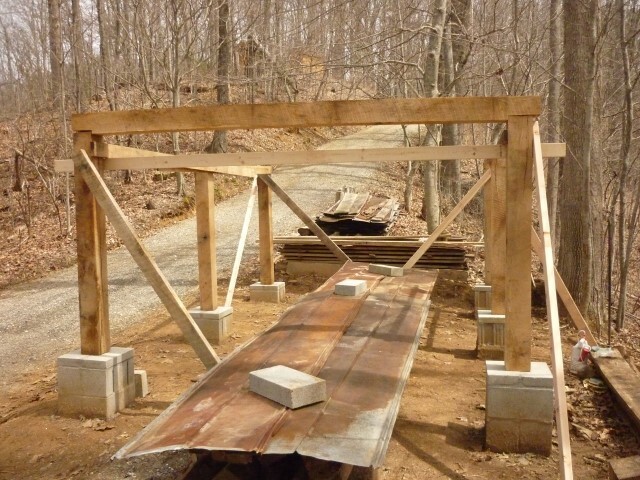 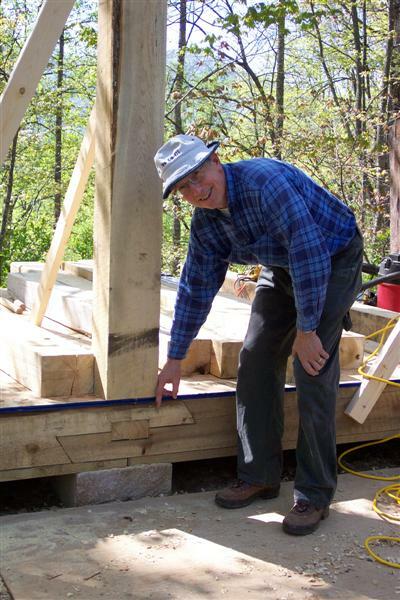 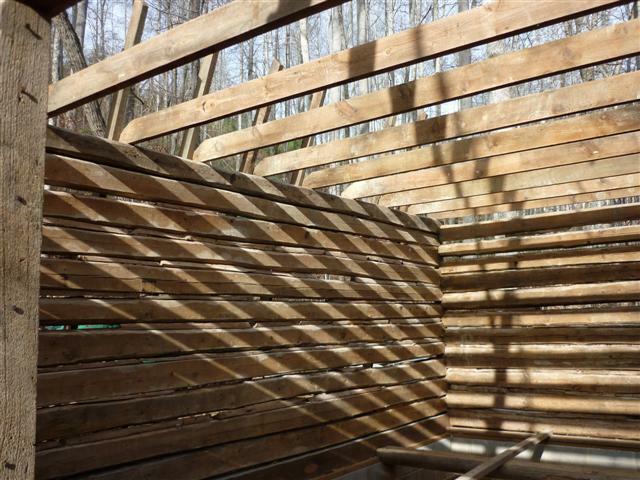 In addition, we built one little timber frame barn for curing hardwood, using wood from the property. 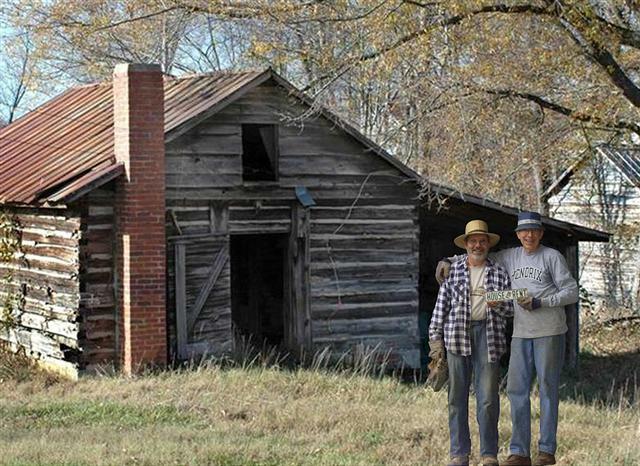 Drew and me in front of the sweet potato barn in its original location on the Garrett farm in Durham. 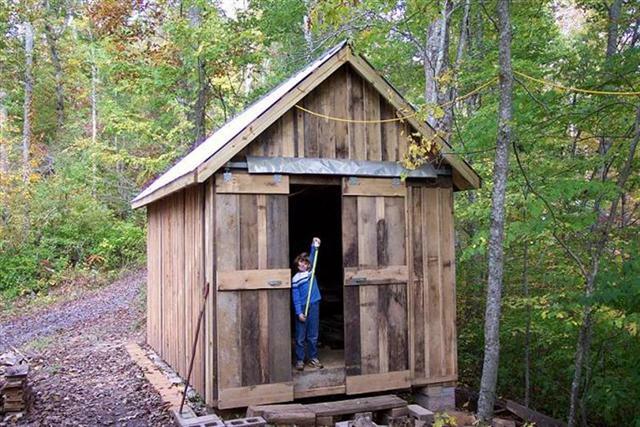 We converted this tobacco barn into a camping cabin (not as tall and with windows), placed near the sled riding area on the north slope at the Ridge. 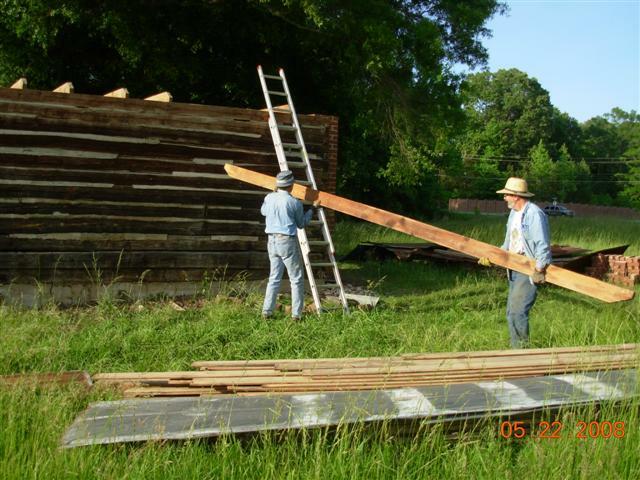 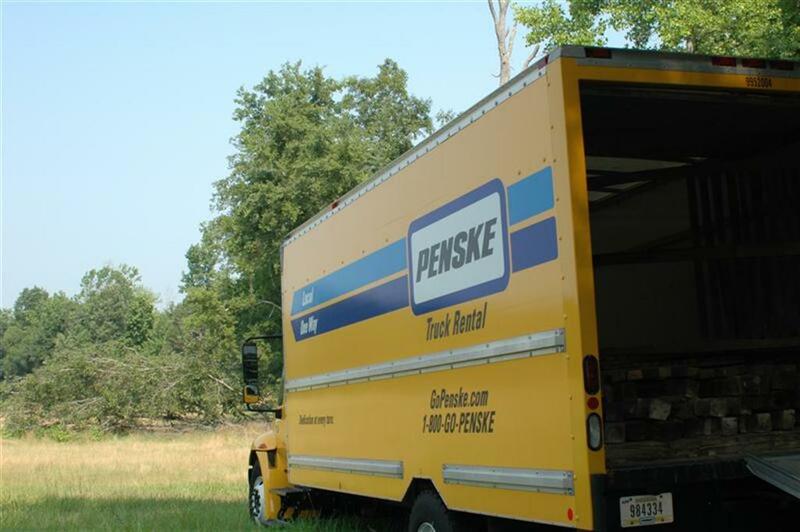 The actual construction of the building has been a one-man job, entailing the use of ropes, levers, platforms, ladders, and patience. 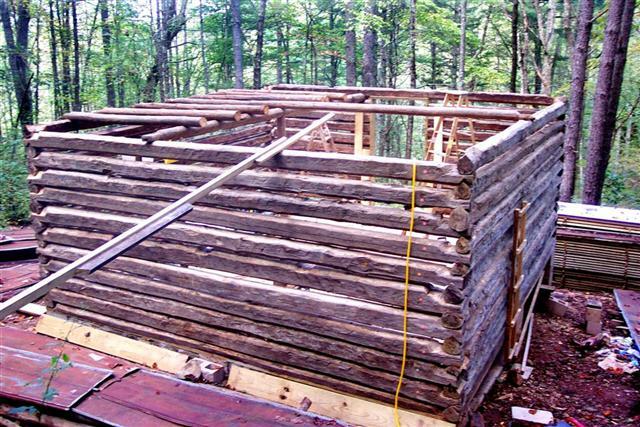 The outside is pretty much as it was, except the bricklaying for the firebox and chimney in a bit more precise, and the inside has braces at the top of the posts to hold up the joists. 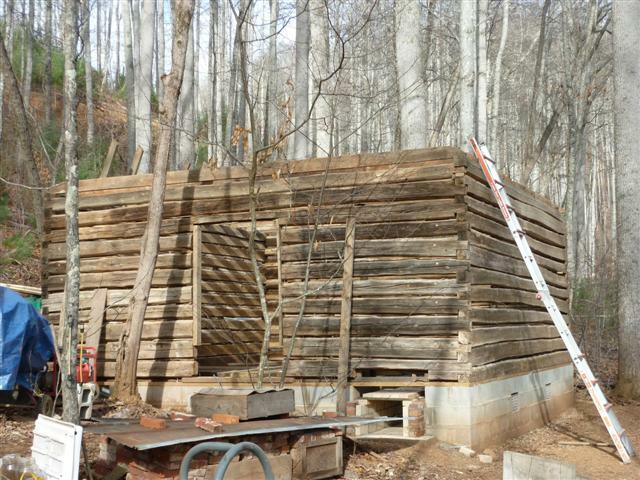 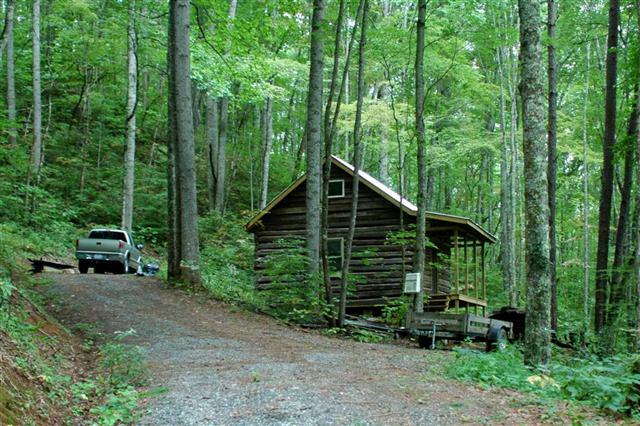 The wood shed is not a log cabin but is made of poplar and oak from the property and has a timber frame. 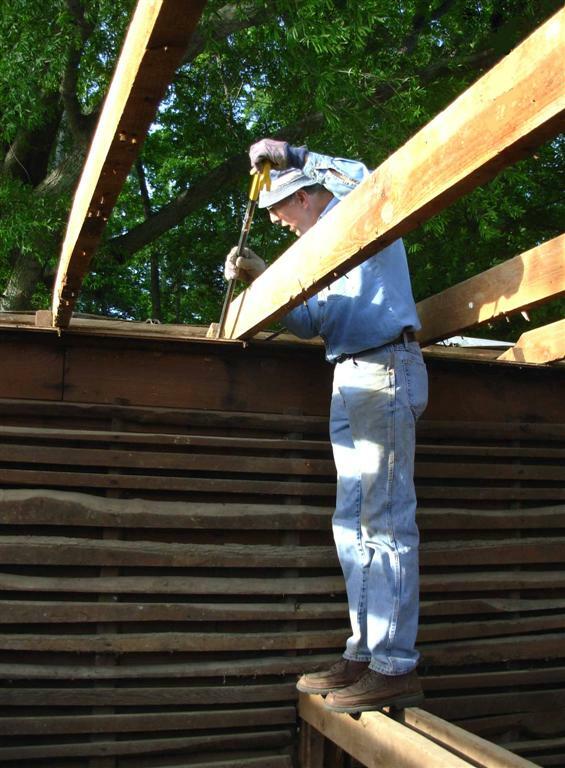 Drew also helped take down the rafters and some grad students helped load logs on the rented truck. 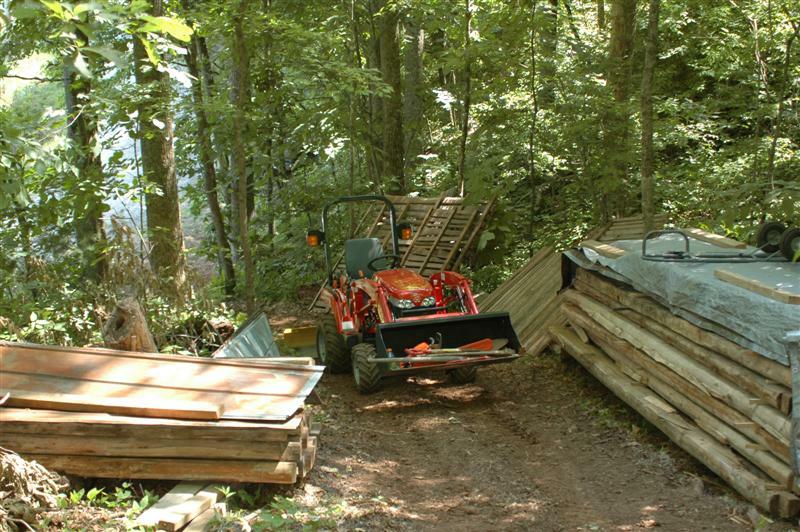 The materials were offloaded and stored on the south slope and carried over the hill with the help of our little Massey Ferguson tractor to the building site, here shown with the trench dug for the concrete footer. 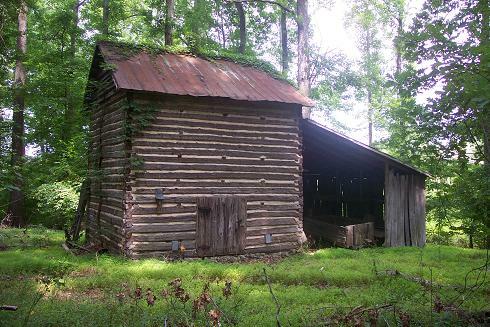 The woodworking shop is the first converted tobacco barn that we built on the property in 1998 and continues to be used for many projects.t. 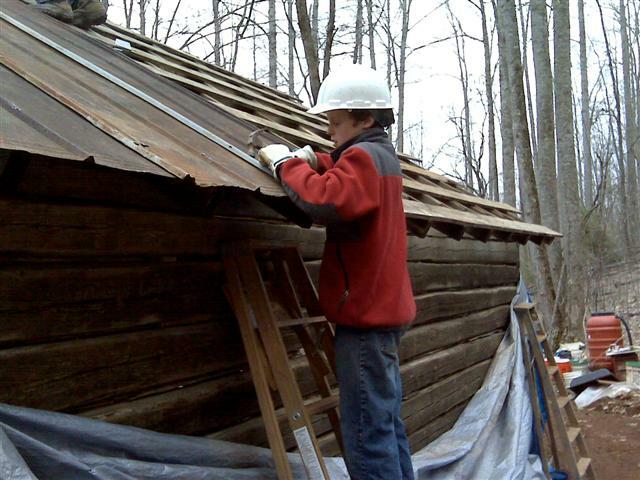 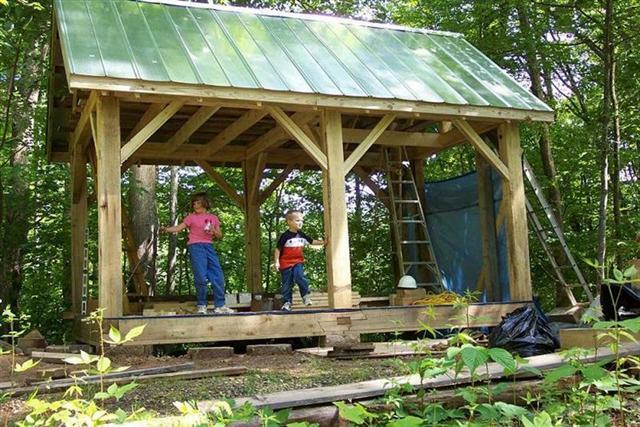 Andrew was very helpful in nailing down the tin roof on the sweet potato barn last spring. 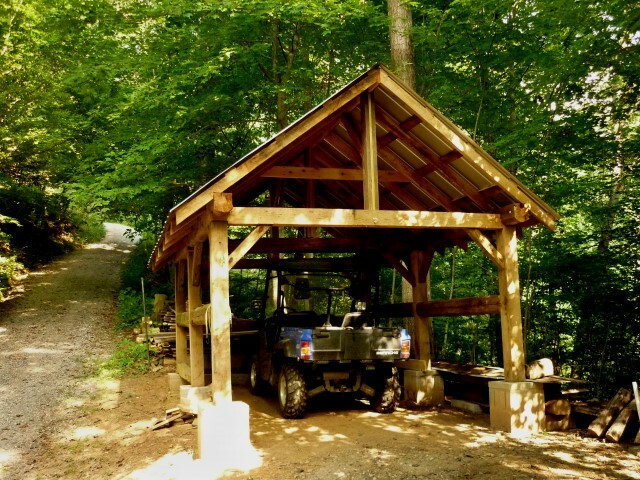 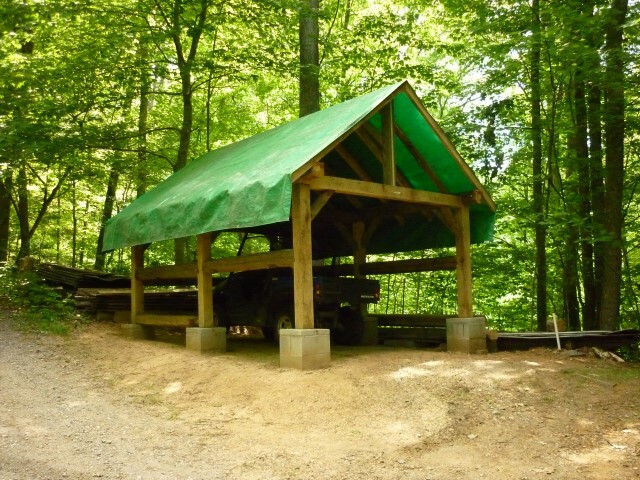 The carport for the "blue bomb" Bennche UTV is built with logs left over from the other cabins, wood from the forest floor, and reclaimed decking, with a new tin roof.